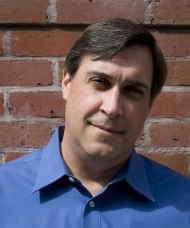 SAN FRANCISCO: Stage Two recently promoted Jim Schaff to managing partner. He will oversee the firm's day-to-day operations, including staff and account management. SAN FRANCISCO: Stage Two recently promoted Jim Schaff to the role of managing partner. He will oversee the firm's day-to-day operations, including staff and account management. This comes as Stage Two co-founders Adam Burg and Jeremy Toeman step away from managing accounts and client relationships and move into advisory roles. Schaff begins his new position on June 20. He has been with the firm since 2007 and became a managing partner in 2008. Prior to joining Stage Two, he worked as director of worldwide marketing at BlueArc and as company evangelist at Data Robotics.